Although certainly not the same, we want to show you the differences between an Au Pair and a Caregiver/Nanny. We understand that there are vast differences between hiring a Live-in Nanny and hosting an Au Pair. This page is to provide you with a balanced perspective on the differences between the two as there are very few options for parents seeking live-in care. Always remember that with an Au Pair, families are making a relationship commitment and not just a contract for services. An Au Pair is often young, usually between the ages of 18-24. This age is great when it comes to bonding and getting down to the level of the children she is caring for. Caregivers and Nannies typically range in age from 26-40+. Some have families of their own and most have hand-on education and/or experience with children. A Caregiver under the TFWP typically comes to Canada as a way to get a foot in the door for immigration purposes and an opportunity to send money home to family and children left behind in her home country. Caregivers tend to be part of close-knit communities of people with similar ethnic backgrounds and therefore spend less time with your family in their off-duty hours. For the Au Pair, her year in Canada is a cultural experience that will provide her with enrichment, English language opportunities and the chance to meet plenty of new people. The excitement an Au Pair brings to her family in Canada is palpable and refreshing, it is not the means to an end. Hosting an Au Pair is making a relationship commitment, NOT a contract for services. Many Au Pairs are experienced in childcare. Some have university degrees in education or nursing and some have diplomas or training in early childhood education. Many have worked as lifeguards, swim instructors, coaches or camp counselors. Think of an Au-Pair as a responsible and engaging big sister for your children (or a fabulous little sister for Mom). A Caregiver is a nanny with more responsibility and tasks. The process of hiring through Canada’s Temporary Foreign Worker Program (TFWP) is expensive and laborious. In 2013, the Federal government added new regulations making the TFWP more complex. More updates to the program were made in November 2014. Technically, there is no longer a “live-in” Caregiver program anymore in Canada as Caregivers are not required to live in your home as part of the program. One of the biggest demands of the process is acquiring a positive Labor Market Impact Assessment (“LMIA”) – formerly called a Labor Market Opinion. This is the first step in hiring a foreign worker. Every employer of a caregiver who wishes to come to Canada under the Temporary Foreign Worker program MUST have applied for an LMIA. A caregiver who is already part of the Caregiver Program and changes employers can continue working but the new employer/ family must get an LMIA and the Caregiver needs to get a new work permit. The LMIA process can take anywhere from 10-12 weeks. As an employer, the family must demonstrate that no Canadian citizen or permanent resident in Canada is qualified and available to take the live-in caregiver job and that the employment offer meets all the necessary legislative and program requirements. You must provide a copy of the signed written employment contract with your caregiver as part of your LMIA application. You will need to explain what efforts you made to hire a Canadian or permanent resident (i.e. where and how you advertised and the results of your efforts). You need to post an ad in the National Job Bank or its provincial equivalent. The ad must run for 14 days and be posted within the three months preceding the LMIA application. Employers are also encouraged to post ads using other forms of media as well. The government is very particular about what you include in your ad. You will need to attach documentation of those efforts in your LMIA application. You will also need to provide proof that you can afford a Caregiver. Parents must include copies of their Notice of Assessment with their LMIA application. A positive LMIA does not mean that the Caregiver will be admitted into Canada. The Caregiver must still apply for a work permit through Citizenship and Immigration Canada. The LMIA costs $1000 (if your annual family income exceeds $150,000) and will not be refunded if you choose not to hire a Live-in Caregiver. return transportation from the caregiver’s current residence in Canada to his or her original country of residence. Once the Caregiver arrives in Canada, the family must provide the Caregiver with medical coverage equivalent to Provincial medical / health services coverage. In British Columbia this monthly cost is approximately $72. An employer hiring a Caregiver through the Temporary Foreign Worker Program can no longer deduct for room and board. It is important to note that a live-in arrangement is no longer a requirement of the Caregiver program and therefore this is something that needs to be discussed between the family and Caregiver prior to the Caregiver agreeing to work with the family. The employer must pay workplace safety insurance coverage – in BC the rates are .85 cents per $100 of accessible payroll. This amounts to roughly $10-14 per month depending on hours worked. More information can be found on the Canadian Government’s Employment Skills and Development website. Generally, Caregivers coming to Canada from foreign countries are older and more experienced than Au Pairs. Many have families of their own and have worked in a field relevant to caring for children. In order to qualify for a work permit, a Caregiver must have worked for one year, including at least six months of continuous employment for the same employer. This work experience must be in a field or occupation specific to what the Caregiver will do in Canada. This experience must have been acquired within the three years immediately before the day on which the Caregiver makes an application for a work permit. Education must have been full-time training in a classroom setting. Areas of study could be early childhood education, geriatric care, pediatric nursing or first aid. The majority of Caregivers are unable to drive in Canada, either because they have never had a drivers license, or because they are from countries that do not have reciprocating arrangements with Canada. 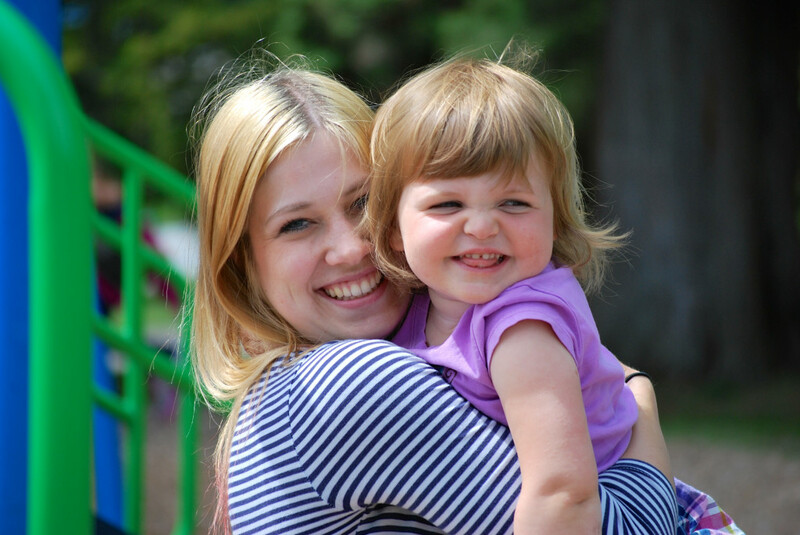 An Au Pair comes to Canada using the International Experience Canada program (IEC). This program is a youth mobility program which the federal government has established via partnerships with certain foreign countries. The IEC program provides an opportunity for young people ages 18-30 (35 in some instances) to apply for the Working Holiday Visa through Citizenship and Immigration Canada. An Au Pair is solely responsible for acquiring this Visa and some Au Pairs already have this step completed or know how the process works when they begin searching for a host family. There is no requirement for the family to prepare any documentation to submit to the Federal government. The Au Pair covers the costs of her application for both the IEC program and her Working Holiday Visa. She will also have to cover the cost of the medical exam required to be able to work with children. Many families do reimburse their Au Pair the cost of the medical assessment upon their successful arrival in Canada but it is not a requirement. The Au Pair covers her own transportation costs to and from Canada. No Labor Market Impact Assessment is required. The family is required to follow all provincial regulations/requirements under the Employment Standards Act. There are no requirements that the family pay provincial medical premiums (due to the fact that the Working Holiday Visa requires the Au Pair to have purchased her own medical insurance prior to arrival in Canada and show proof of insurance to CBSA officers, if requested, upon entry to Canada). Families do not need to guarantee full time hours. In fact, many families need only before and after school care or less than 30 hours. The average Au Pair works between 25-35 hours per week. Families do not need to pay IEC Visa fees or travel expenses for an Au Pair. The family should be making payments for Workplace Safety insurance coverage (in BC Worksafe rates are 85 cents per $100 of accessible payroll). Approx $10-14 per month. Families are able to deduct room and board in most provinces. Each province has different legislation regarding the maximum deduction families can charge for room and board. Many Au Pairs come to Canada with valid drivers licenses from their respective countries. You can make it part of your criteria in your search. Countries such as Ireland or countries within the Commonwealth have reciprocal agreements with the provinces enabling foreign workers to exchange their foreign licences for equivalent licences in Canada.